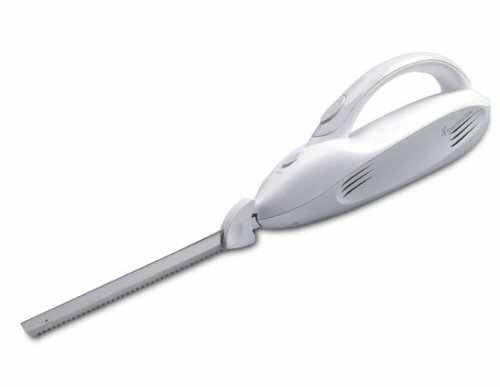 Get great value to carve meats, cut bread and more with a durable electric carving knife. The stainless steel serrated blades cut through even your tougher foods, with an ergonomic handle grip and drip guard for added peace of mind during use. Blades eject at just the touch of a button for easy cleaning.